Gun control debate is again at the forefront after a tragic Conn. school shooting. Amidst continued fiscal cliff talks, Susan Rice chooses not to pursue the Secretary of State nomination. Plus, the U.S. recognizes the Syrian opposition. Joining Gwen: Reid Wilson, National Journal Hotline; Martha Raddatz, ABC News; David Sanger, New York Times; John Dickerson, Slate Magazine and CBS News. Another mass shooting; a visibly shaken president. PRESIDENT BARACK OBAMA: (From tape.) The majority of those who died today were children, beautiful little kids between the ages of five and 10 years old. They had their entire lives ahead of them – birthdays, graduations, weddings, kids of their own. MS. IFILL: What will this mean for the all too familiar debate about guns and violence? In Washington, the woman who will not be secretary of state. SUSAN RICE [U.S. Ambassador to the U.N.]: (From tape.) I withdrew my name because I think it’s the right thing for the country, and I think it’s the right thing for the president. MS. IFILL: How politics derailed U.N. Ambassador Susan Rice even as at least one critical foreign policy matter heats up: Syria. ANDERS FOGH RASMUSSEN [Secretary-General of NATO]: (From tape.) I think the regime in Damascus is approaching collapse. MS. IFILL: On the domestic front, the slow march towards the fiscal cliff continues. PRESIDENT OBAMA: (From tape.) And I’m pretty confident that Republicans would not hold middle-class taxes hostage. REPRESENTATIVE JOHN BOEHNER (R-OH) [Speaker of the House]: (From tape.) It’s clear the president’s just not serious about cutting spending. MS. IFILL: Covering the week, Reid Wilson of the Hotline; David Sanger of the New York Times; Martha Raddatz of ABC News; and John Dickerson of Slate Magazine and CBS News. MS. IFILL: Good evening. If it seems like we’ve been here before, it’s because we have. But this time, fatalities included 20 elementary school age children and seven additional adults, including the shooter. Shocking violence, innocent victims, expressions of outrage, and, from the president today, a promise to act. PRESIDENT OBAMA: (From tape.) As a country, we have been through this too many times, whether it’s an elementary school in Newtown, or a shopping mall in Oregon, or a temple in Wisconsin, or a movie theater in Aurora or a street corner in Chicago. These neighborhoods are our neighborhoods and these children are our children. And we’re going to have to come together and take meaningful action to prevent more tragedies like this, regardless of the politics. MS. IFILL: But what if anything can or will government do about it? The Newtown shootings provide more fodder for a debate that, interestingly enough, we didn’t even have in the 2012 presidential election. Any sign so that anything is going to be different, Reid? We haven’t heard him talk about actually doing something about gun violence, about gun control in his first four years. Instead, we heard a lot of discussion about the Second Amendment and respect for the sort of existing laws on the book, enforcing the existing laws on the book. The only time we ever heard about gun control during the presidential campaign was when he was asked during the town hall debate on Long Island. And he started out sort of discussing what he would do to ban assault weapons by talking about how important the Second Amendment was. MR. WILSON: This now has changed. He’s never running for reelection again. He doesn’t have to sort of face the political power of the gun lobby. MS. IFILL: But he said take meaningful action regardless of the politics. The politics have not changed. MR. WILSON: And it’s an acknowledgement that still gun politics are something of a third rail in the discussion right now. I think it’s fascinating, though, to take a look at – for the first time, there’s actually money going behind some of the pro-gun control candidates. And I’d spotlight New York City Mayor Michael Bloomberg, who started a Super PAC this year and started targeting some candidates who were – targeting may be an unfortunate choice of words there – but trying to go after some candidates who supported gun rights in favor of candidates who were much more on his side and supporting gun control. He actually beat one long-time Democrat, Joe Baca, in California with a last-minute money dump. And now a pro-gun Democrat is being replaced by a pro-gun control Democrat. JOHN DICKERSON: Reid, isn’t the problem, though, on this issue do people who want to protect gun rights are the ones who really vote on the issue, and that’s always been the problem because they’re energized. The ones who want to restrict gun rights or have gun control laws are not as motivated? MR. WILSON: Exactly. Democrats remember just how bad the NRA was for them back in 1994. After the assault weapons ban passed, the NRA went after a number of rural Democrats, Democrats in areas that weren’t inside the city, and effectively beat a number of them. There were a lot of Democrats who still blame the NRA for losing control of the House in ’94. DAVID SANGER: And you mentioned that this barely came up in the 2012 campaign. And it’s been very hard to understand exactly what President Obama’s own position has been on this. But he has been cautious usually in the past not to take the moment of these shootings and use that for a political purpose. It’s a very delicate thing. Some critics have said if you let the moment pass, then you’re back to the normal politics. Will this play out differently in the next week? MR. WILSON: I think it will. And I thought the White House did an interesting two-step earlier today. Jay Carney, the White House press secretary, said early in the day that this was not a time for politics; this was not a time to discuss some of these measures. And I think there was such an outcry that, because of who the victims were here, because they were elementary school children, that maybe now is the time. And President Obama himself spotlighted the meaningful action. I mean, I think that was a very telling word. MS. IFILL: Which is the last time we said that was going to be the big moment for action. MR. WILSON: Exactly. Exactly. He didn’t mention Fort Good or the shooting in Binghamton, New York, or the more than 400 murders that have taken place in Chicago just through the end of October. So it’s not like he hasn’t had the moment to actually start this conversation. Now, though, it looked like he took the first step towards doing so. MARTHA RADDATZ: And the first step – but what would the second step be? Where would the debate begin on this? MS. RADDATZ: I mean, this – apparently, the man today who did the shooting did not use an assault weapon. So where does it really begin? Where do you go after? MR. WILSON: Well, what President Obama has said in his first term is that he favors enforcement of existing laws. Well, I think the next step is to realize that that’s not enough, that simply enforcing existing laws that say a felon can’t get a handgun don’t work if you don’t have the sufficient infrastructure for background checks to try to figure out who actually is a felon, who’s not supposed to have a gun. So it’s clear I think that the White House – or somebody on this side has to say something to the effect of – well, we have to take another step. MS. IFILL: And can I ask you something briefly? Does it have to be out of the White House? Can it start on Capitol Hill? MR. WILSON: I think the political will doesn’t exist on Capitol Hill. It starts with the fact that the Republican Party controls the House of Representatives. The Republicans are much more closely aligned with the National Rifle Association and its agenda than the Democratic Party, obviously. And even in the Senate, there are a number of pro-gun and rural Democrats. I find it hard to believe that a Democratic senator from North Dakota or Montana, or basically anywhere in the Midwest would vote for something that the NRA opposes. MS. IFILL: It’s kind of like a civics lesson. We’re going to continue with tonight’s civics lesson by talking instead of about laws, about the laws of politics. This week’s object lesson, U.N. Ambassador Susan Rice, who by most accounts was the president’s preferred choice to succeed Hillary Clinton as secretary of state. That until she pulled herself out of the running yesterday. MS. RICE: (From tape.) I made the decision that it was the best thing for our country, for the American people that I not continue to be considered by the president for nomination as secretary of state because I didn’t want to see a confirmation process that was very prolonged, very politicized, very distracting, and very disruptive because there are so many things we need to get done as a country. MS. IFILL: What really – what really happened here, David? Sometimes you think what you see is what you get and sometimes it’s not quite. MR. SANGER: It’s not quite in this case. I mean, the ostensible reason here was what Ambassador Rice said on several Sunday morning TV shows about Benghazi and the attack in Libya that ended up costing the lives of four Americans. But by the time that whole thing played out, it was pretty clear that she was reading talking points that were put together by the intelligence community. She had had very little to nothing to do with embassy security itself. She happened to be on those talking – on those shows themselves because Secretary Clinton had just come back from a trip and said she was too tired to go on them. There was more underway here, though. Part of it was a little bit of her style, which was a very confrontational one. And that probably didn’t serve her all that well when she went up to Capitol Hill a few weeks ago and tried to talk this out with Senator John McCain, Lindsey Graham, others who had opposed her. A little bit of it was the White House I think, after President Obama came out very strongly in her support. She was, after all, one of the first people to sign on to his foreign policy team when he was a pretty improbable candidate. After that, the White House did not come out in a sort of full-throated defense. And I think that this week, she came to the conclusion that they might not come out with that. And, lastly – this is odd, but some Democrats I think weren’t super eager to see this battle go on. And a few of them thought that it really was John Kerry’s turn. And, you know, Senator Kerry, who’s the head of the Senate Foreign Relations Committee, is the presumed second choice for the president. He would cruise through in confirmation we think. And there are some Democrats who thought that his moment should come. MS. RADDATZ: So could she have made it through? MS. RADDATZ: Right, not about people. MR. SANGER: It was – yeah. And he may now, if in fact there is a gun control argument, that might become the second one. I think that he was going to probably put all these nominations off until the beginning of the year had she stayed in. Now that she’s left, I suspect he could announce his team next week. MR. WILSON: Well, now, as – how far would they have stuck with her had she decided to drag this thing out? MR. SANGER: Probably far enough until they could actually count votes and answer Martha’s question. MS. IFILL: It’s hard to know since it was never a nomination on the table. MR. SANGER: That’s right. That’s right. There never really was and you never really had to sit there and count how many would be with her or not. I had a lot of senators say to me that they thought in the end, there are a lot of people who are going to have a very hard time voting against her. You know, she clearly has the background, the experience. I’ve known Ambassador Rice for 15, 20 years now. And, you know, you can argue about various things that she did or didn’t do when she was assistant secretary for Africa, but she certainly knows her brief. MR. DICKERSON: David, what material difference will there be in a Secretary of State Kerry versus a Secretary of State Rice? I mean, was this a big change in what the future foreign policy of this administration will look like? MR. SANGER: You know, John, I don’t think it’s a big policy change, because, remember, we’re not in the first term here. So, you know, the major elements of the Obama administration’s strategy, the light footprint, the focus on pulling – no longer doing big, attritional wars, but instead focusing on cyber and focusing on drones and the use of Special Forces. And even the diplomatic approach around the world is one that’s pretty well set. The difficulty here is that Ambassador Rice knows how Barack Obama thinks. She has been with him for so long, helped form so many of her views – his views, that she didn’t need many instructions. That’s not necessarily the case with Senator Kerry. 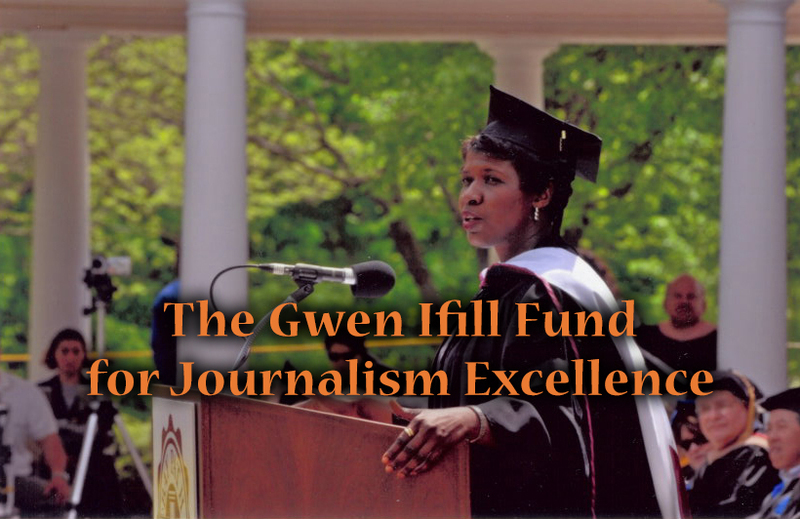 MS. IFILL: I wonder if – and this is just quickly. I just have this thought that because Hillary Clinton is so Teflon these days, that what happens with Teflon is bullets bounce off of it and maybe hit somebody else. I wonder if she had been the one on the Sunday morning shows, would we have even had this conversation. MR. SANGER: I suspect that we probably wouldn’t. And, you know, secretary – Ambassador Rice said yesterday she didn’t regret going on those shows, but you have to think that given how the whole thing played out, she must have second thoughts about whether somebody else could have done those shows that morning. MS. IFILL: Well, there was another sticky situation this week for the Obama administration, and that was in Syria. The U.S. has stepped up missile defense along Syria’s border with Turkey, hoping to stave off the potential use of chemical weapons against anti-Assad rebels. And, for the first time, the U.S. is formally recognizing the rebels’ attempt to overthrow President Assad. And we are at the end game, or are we? Martha? MS. RADDATZ: Well, I think we’re closer than we’ve ever been certainly. I think even two weeks ago there were a lot of people saying this could be months and months and months. We have no idea when this will end. But I think if you look at where those rebels are advancing in Damascus, I think it really could end there. You’ve got suburbs – I mean, you’re seeing this extraordinary video coming out of Damascus with the suburbs virtually on fire. The thing that I think is most frightening about this is everybody – the rebels, the regime – everybody is destroying everything in their path. So then you get into the terrible thing with retribution. You’ve got the rebels advancing. You’ve got the regime fighting back. But I think Assad has to be feeling the pressure. I think he’s probably moving from – people I’ve talked to say they believe he’s probably moving around somewhere in Damascus, that he’s probably really feeling the stress, and yet he feels this great sense of entitlement. But I think we are closer to an end than we’ve been. I mean, you’ve heard all these talk – you know, he’s finished, he’s finished. For two years they’ve been saying that. MS. IFILL: But as the U.S. tiptoes from the sidelines, as it has tiptoed from the sidelines in Egypt, it tiptoed from the sidelines in Libya, it doesn’t always lead to what we had in mind, that is someone who could actually take over. MS. RADDATZ: Most definitely. I mean, I think, yes, recognizing an opposition group doesn’t mean they have anybody that they think could take over. I think really what you would see afterwards is as much chaos as you have right now. I think Assad would be out of the way and then it would be, who’s next? And I don’t think that is at all clear. MS. RADDATZ: Than Libya. Yes. MR. SANGER: – ever was, if he does fall and if the country splits up, as some people suggest it may for a while, what does that do? Does that give any advantage to Iran? Could they move in? Does it give any advantage to the Russians? Does it give any advantage to us? MS. RADDATZ: Well, everybody is probably trying to figure out exactly what would happen and who would have an advantage afterwards. And I don’t think we know. I think it’s – it is unclear. I mean, certainly you heard Russia this week sort of seeing the writing on the wall, well, maybe our great ally isn’t going to stay; maybe Assad will fall. I mean, those were the strongest words we’ve heard, which is another indication that might happen. MR. DICKERSON: Martha, you talked about retribution and the fact that all sides are kind of destroying everything in their path. If Assad gets cornered, there’s talk about chemical weapons. Is that actually in play, that he could use chemical weapons? MS. RADDATZ: I think that is the absolute key here. And two weeks ago – it was two weeks ago, right, David – that the chemical weapons that the U.S. intelligence spotted the Syrian regime putting chemicals – putting precursors of chemicals in actual bombs and they were near airfields, and that scared everybody. That’s the day you saw President Obama come out. Now, intelligence in the last couple of weeks since then, they aren’t as worried, but those chemicals can last in those bombs. So I think that threat is there. There’s nothing that scares the U.S. more than that. He would probably – if he used chemical weapons and was backed into a corner, use it against his own people, but you’ve also got – that’s one of the reasons you’ve got those Patriot missile batteries that they’re going to move into the area to try to stop. And it would only stop chemical weapons if they were on – if they were on Scuds. It couldn’t stop them if it was on anything smaller. MR. WILSON: What are the implications of the U.S. moving 4,000 troops and two Patriot missile batteries into southern Turkey? I mean, how does that change the situation? MS. RADDATZ: It’s actually 400. It’s 400. MR. WILSON: Four hundred. Excuse me. MS. IFILL: – troops on the ground kind of. MS. RADDATZ: It’s not really. I mean, I think, frankly, this is more of a political move because I think most of the batteries would be quite far away from the Syrian border. So it’s not – I think one of the really important things is to see exactly where those batteries would be located, to see if you really could set up a no-fly zone, whether they would be effective. But from what I’ve seen so far, they wouldn’t really be, and it’s more of a support Turkey, and more of a domestic problem for Turkey so they want something on those borders. But I think, generally, the 400 people on the ground aren’t really us putting troops on the ground. They’ve just really got to man those missile batteries. MS. IFILL: Well, there are a lot of borders to protect in Syria, so we’re going to be watching and see if we start putting missiles everywhere. Thanks, Martha. Finally, tonight, to the continuing and apparently stuck negotiations over a deal to avoid tax hikes and spending cuts at year’s end, the so-called fiscal cliff. Is it good news or is it bad news when nothing seems to be happening on a week like this, John? MR. DICKERSON: Well, it depends which of the dramas you’re watching. So one of the difficulties in covering this story is that there are two dramas: there is the public drama; it’s the press releases; it’s the tantrums that all sides are giving about how the other side isn’t doing any work. And then there’s the drama going on inside the room. And we don’t really know a whole lot about what’s going on inside the room. The president met with John Boehner for 50 minutes and all we know is that it was a frank exchange, which is usually a euphemism for using language we can’t repeat on television. But what is happening in that room – and we’re not hearing anything – and that’s a good sign to the extent you can squeeze a good sign out of this. And what that means is that they’re giving a little. Each side is testing the other out. And the big questions here are taxes. Will Republicans vote for tax increases versus entitlements? Will the president go for big cuts entitlements? And they’re both saying, well, I’ll give a little here and I’ll give a little there, but they have to do it in private, and it can’t leak because the minute it leaks, the conservatives and liberals will go nuts. MS. IFILL: What do we know about what’s on the table and what’s off the table? MR. DICKERSON: Well, the president keeps – you know, wants a lot on the table. So he wants tax rates to increase. He wants some – he wants some investment spending. He also wants no debt limit fight next year, because we’re about to have this fight all over again, the sort of the sixth chapter in this if they don’t get the debt limit question removed. That’s what the president wants, all of those things. Republicans want big entitlement cuts. And the basic transaction you have to keep in mind is the bigger the tax increase Republicans have to vote for, the bigger the entitlement cuts the president has to agree to. MS. RADDATZ: Can we talk about public opinion? I imagine everybody out there saying, not again. Why can’t they come to some agreement? MS. IFILL: I think we’re saying that actually. MS. RADDATZ: We’re saying that, but you also hear people like us saying, well, we’re going to do this, it might go over the fiscal cliff for a couple of days, then it will be fine. What is public opinion showing? MR. DICKERSON: Well, public opinion shows two things that are in the president’s favor, and it’s why the president feels so good over at the White House, and that’s the core of the message you get in all the interviews is they feel very confident about where they are. And it’s for two reasons: one, the public is very much in support of the president’s position, which is that to fix – and let’s step back a minute. What we’re trying to do here is the country is headed towards a starvation diet. That’s what the fiscal cliff is. And they’re trying to move from a starvation diet to sort of figuring out a kind of a weight watchers diet. So at the center of this, the country says, you know, to get into that weight watchers plan, we agree with the president essentially – taxes should go up on the wealthy and then there should be some spending cuts, a balanced approach. And if we go over the cliff, if this starvation kicks in, we’re going to blame the Republicans. So these are two things that help the president. But Republicans in their districts, two-thirds of them Republicans brought back to Washington with 55 percent of the vote – they’ve got different constituents. The voters – the constituents in those districts, tea party-backed candidates, they want to see taxes not go up. Now, there are Republicans – the polls do show support for Republicans for letting those tax rates increase, but my point here is the House Republicans, who are the ones that are going to have to vote for this deal, have a different set of political instincts and the polls mean different things to them than this big national poll. MR. SANGER: Well, John, if that’s the case, let’s say that Speaker Boehner comes up with an agreement with the president. What are the chances he can sell this to his own caucus? This is sort of the equivalent question of could Susan Rice have gotten through? It’s very hard to figure this out, but how much is his own caucus really with him? MR. DICKERSON: Well, that’s the key question. And, at the White House, they don’t have a lot of faith in John Boehner’s ability to sell this to Republicans in the House. And Boehner has said he wants a majority of his majority so a majority of those Republicans. They just don’t think – but Boehner is the only guy they can – they’re dealing with. And why is it going to be so hard? Because Boehner is going to have to be selling a tax increase. And this is – everybody knows this. And Boehner has privately, according to sources from the Democratic side, has agreed to some – has in these private meetings no one is supposed to hear about agreed to some kind of a rate increase. But if he’s going to go back to his Republicans and those Republicans are going to have to go back home to their districts and talk to those constituents and say, why in God’s name did you vote for tax increases, they’re going to have to say, well, I got this. And the this is going to have to be a big entitlement change, whether it is an increase in the eligibility age or means testing or something, but it’s going to have to be a big prize on the entitlement side. MR. WILSON: – going on? What’s the backchannel? MR. DICKERSON: Well, the backchannel is basically how much are you going to give me in entitlements and the president is saying, I’m not going to give you things on entitlements until you tell me you’re going to vote for a tax increase. MS. IFILL: We’ll see you here Christmas Eve, John Dickerson, and tell us what’s really going on because this could be going on for a while. We have to go for now, but we’ll pick up where we left off in the “Washington Week Webcast Extra.” You’ll be able to find us online still talking at pbs.org/washingtonweek. And if you have questions for me, I’ll be online this coming Thursday at noon Eastern Time. You can also send your questions in advance to WashingtonWeek@pbs.org. Keep up with daily developments with me over at the PBS “NewsHour.” And we’ll see you again right here next week on “Washington Week.” Good night. Panelists discuss the future of unions, Republicans, North Korea, and cabinet positions. 23 min 58 sec ago. 29 min 17 sec ago. 37 min 44 sec ago.